Just to reinforce my previous post, the President of the American Psychiatric Association has said that the mass shooting in the Navy Yard in Washington, D.C., like previous such tragedies, "reflects the failings of the U.S. mental health care system" (see post). The answer to my question about why psychiatry accepts this projection is that he believes this will increase the social and political will to provide quality mental health services. Even if his motive is to provide every person with a mental illness and/or substance use disorder with "access to affordable, quality mental health treatment", he doesn't provide any evidence that psychiatry can identify and treat perpetrators of mass shootings. To encourage this phantasy is a folie a deux between psychiatry and the public. Gallup have found that 48% of Americans say that they blame the mental health system "a great deal" and 32% "a fair amount" (ie. 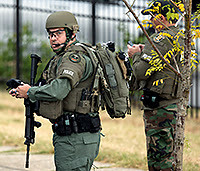 80% total blame) for mass shootings in the United States (see report). Comparative total figures for blaming guns and blaming drugs are 61% and 66 % respectively. The report on Gallup Politics interprets this to mean that Americans believe "more can be done on the mental health side", but it doesn't say what it thinks can be done. Actually research has shown that the removal of semi-automatic and pump-action shotguns from civilian possession after the 1996 firearm massacre in Tasmania led to no mass shootings in Australia in the 10.5 years afterwards, whereas in the 18 years before the gun law reforms there were 13 (see article). Does the American public really think services have the ability to detect and treat mentally unstable people capable of such crimes? Do they really mean what they say? If so, they seem to think psychiatry is all-powerful. Perhaps that's where psychiatry is going wrong by accepting this projection. Is psychiatry our necessary shadow? 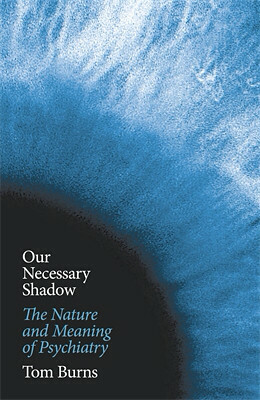 Tom Burns, who I have mentioned in a previous post, has written a bland apology for psychiatry, Our necessary shadow: The nature and meaning of psychiatry. As he says, he is "convinced psychiatry is a major force for good or I would not have spent my whole adult life in it". Having also spent most of my adult life as a psychiatrist, I suppose I'm inclined to be an apologist as well, but I would only say that psychiatry can do good not that it does. Burns recognises what he calls psychiatry's "mistakes" but sees these as failings that need to be put in perspective, rather than, as I do, something more fundamental about the nature of psychiatry. If psychiatrists are false prophets it is because they fail to deliver what they promise; it is not their mistaken metaphysics. It is their incompetence rather than their omnipotence that is the issue. If I understand him right, he doesn't want to engage with conceptual issues about the nature of mental illness. This is not dissimilar from the position of Anthony Clare in Psychiatry in dissent (see previous post) and fits with Burns ambition to see his book as this generation's "attempt to explain psychiatry fully to the interested outsider", as Clare's book was for a previous generation. I think Burns is setting the barrier of competence too high for psychiatrists! He clearly does have an ideological position eg. 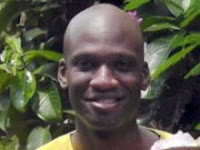 he accepts the rather trite position that schizophrenia has a heritability of 80%. Despite what he thinks, as I keep saying, it is important to move on from the biomedical paradigm (see previous post). Burns atheoretical approach does not salvage psychiatry. Collection of psychiatrists' views about DSM-5, including those of Charles Nemeroff (see previous post) and Simon Wessely (see another previous post), have been published by BMC Medicine. Nemeroff and Daniel Weinberger suggest the motivation for DSM-5 was (1) unrealistic anticipations of being able to include genetic markers for mental disorders following the sequencing of the human genome, and (2) unrealistic enthusiasm that brain imaging studies would produce pathognomonic findings about the neurobiology of mental disorders. Their wishful thinking means that only in retrospect do they find this surprising, blaming the complexity of the brain. Actually, it's not just the complexity of the brain that's the issue, but their naivety that the brain-mind problem could be solved. We need to move on from the biomedical paradigm (see previous post). Nor, as they imply, did the explicit criteria of DSM-III solve the subjectivity and uncertainty of psychiatric diagnosis, which is actually intrinsic to its nature. There needs to be a change of thinking about psychiatric classification. As I said in my previous post in relation to Simon Wessely, please stop talking about DSM-6, at least until there's a proper conceptual understanding of the nature of mental illness. Nemeroff and Weinberger's unrealistic hopes are an insufficient basis on which to proceed. 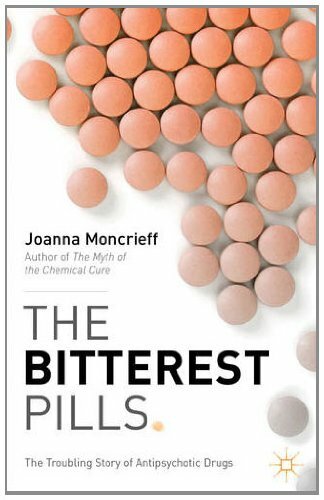 This website has been given a 20% discount for the important, soon to be published book The bitterest pills by Jo Moncrieff. Order through Palgave.com and use code WBitterest2013. (Do check, though, that this is the best deal - currently seems to be cheaper on the Amazon site).